Coin Treasure Magazine is a A5 Size Magazine. A5 is half the size of A4 Paper. 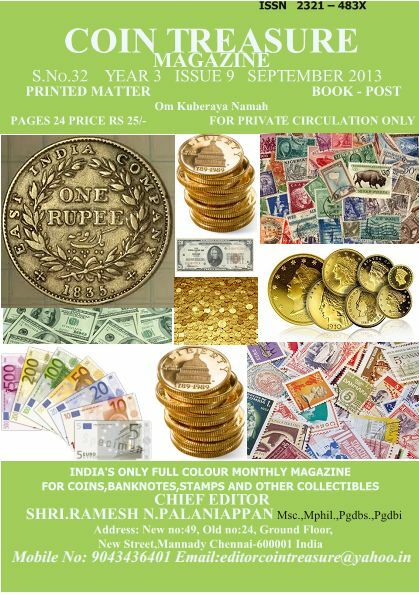 Coin Treasure Magazine is an upcoming magazine in the field of Coins, Banknote and Stamp Collection in India. ISSN No: ISSN 2321 – 483X , by clicking the link below, you can view the letter received from Issn for number allotment.